My family and I have lived in Nashville (Franklin) for almost 11 years. It has been an unexpected, bewildering process at times. We have experienced seasons of loneliness, isolation, and confusion as to why God brought us here in the first place. We have met some incredible people, and even re-connected with a few from years gone by, but have never really found that sense of community that God has given us the desire for. Circumstantially speaking, we have made some priceless memories, watched our kiddos grow and thrive, and enjoyed some unforgettable moments, and yet we have endured some of the most challenging times of our lives, relative to our careers, our passions, and our provisions. I have misunderstood the voice of God at times with regard to what "part" we were to play, our purpose, and our engagement in the grand scheme of His vision for us here. That has, on occasion, prompted me to make "well-intentioned" decisions that have in fact turned out to be misguided and a bit ill-timed. But through all of that, I've had such a peace in knowing that God led us here. I have never been in doubt about that! I have seen God's hand at work in our lives, and have watched Him order our steps, even when it looked like to me that those steps were only going around in endless circles without rhyme or reason, all leading us to yet another lonely waiting room, for us to sit in disappointment with our deferred hopes and unfulfilled dreams. But this wild & crazy ride has been absolutely transformative and revolutionary to me personally! My journey with God, the recovery of my identity in Christ, and the story He has been writing in me leave me overwhelmed with gratitude, joy, and an indescribable expectancy for the next! I am discovering that the power of experiencing your revealed purpose is worth the pain of enduring your concealed preparation. God's timing can be trusted! His faithfulness can be rested in! I've often lamented that I wish I would have begun this last 10 year stretch of my journey in my 20’s instead of my 40’s, to which God replied (or at least I "imagined" that He replied) "You are less of an idiot now than you were in your 20's, and besides, age is never a problem or a hindering factor with me. Just ask Abraham & Sarah. You’re just getting started. Besides, I've still kept you looking and feeling like you are in your 20's, so there's that." Now see, doesn’t that sound just like the voice of God? And thankfully, there is the now! And there is God's perfect timing again! 10.5 years later, the purpose is beginning to dawn. And as far as community, I believe THAT will unfold. 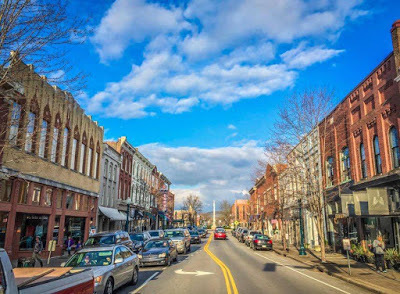 There are certain aspects of living here in Franklin that feel a little "transit", even after 10 years, namely, still living in an apartment, and the community thing. But I feel strongly that our purpose has birthed, and has been developed from here. His Kingdom legacy in our lives is burgeoning from here! These past 10.5 years have been a longer-than-I-had-hoped period of preparation and isolated discovery. God has mercifully been reconnecting me to my identity, and His heart for my family and me. I have never been more excited about the revealing of this next chapter. Every part of our story has been leading up to THIS CHAPTER! Man, am I ready to close the one I’ve been reading over and over for 10 years, and start reading the new one! Thanks for listening!